Later Life lending enables clients to release some of the money locked up in their home for any purpose they wish. 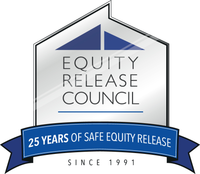 Blue Q Mortgage are members of the Equity Release Council who were set up by the government to set high standards in this area of the market. All our products have a no Negative Equity Guarantee which means you will never owe more than the value of the property. Interest rates are fixed or capped for the life of the loan.